Brasada Ranch was one of the most anticipated developments in Central Oregon, and when it became available for sale in June 2005, the first 200 lots sold out almost immediately. Due to high demand, homes were quickly in construction, and Builder Magazine named it "Community of the Year" in 2007. Yet another accolade came in 2012 when the Oregonian named Brasada Ranch "Oregon's Best Destination Resort". 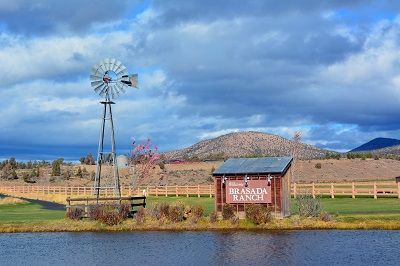 With continued strong construction activity and a recent 6.5 million dollar upgrade to the resort, Brasada Ranch remains one of Oregon's best places to live and play in the high desert. Read More about the Basada Ranch lifestyle. 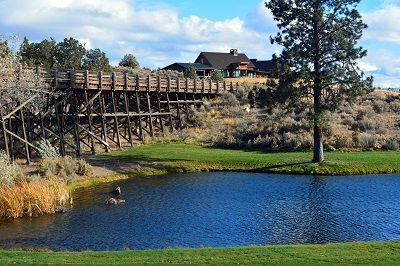 Brasada Ranch is nestled in between Prineville and Bend close to the town of Powell Butte. Residents of Brasada Ranch enjoy numerous recreational opportunities with over 1,800 acres to hike, bike and explore. Come try a round of championship golf with the family, or try relaxing in the organic spa. Treat yourself to world-class dining at The Range Restaurant with it's "farm to table" mentality. And there are plenty of activities for kids at the Hideout. All the readers of Conde Nast Traveler can't be wrong when they named Brasada Ranch the "Best Resort in the Pacific Northwest".